The UAE followed the example of the Saudis last week by banning the Brotherhood and listing it as a terrorist organisation. 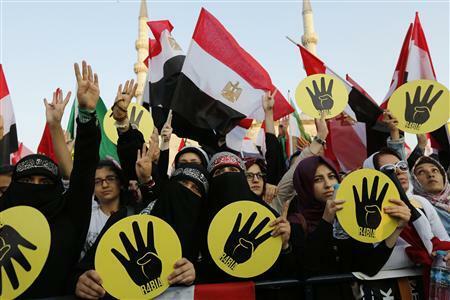 That was the latest example of the group’s fall in fortunes since one of its leaders, Mohamed Morsi, was ousted as Egyptian president last year. According to those who have seen the British report, it will not offer policy prescriptions, but instead seek to spell out a network of linked organisations, some of which are implicated in extremist activity. Ministers will then have to decide what to do about each of these groups, and are likely to launch further reviews into other organisations when the report is published. But some in government have been irritated at leaks from the report which seek to portray it as more conclusive than it is likely to be. While some in government are trying to beef up the report’s findings, ministers are also aware that if it is too tough it could annoy Qatar, which has backed the Brotherhood and with which the UK has just signed an intelligence-sharing agreement. The situation has been further complicated by the UAE’s decision to proscribe not only the Muslim Brotherhood but also raft of other organisations, including the Muslim Association of Britain. The MAB has since contacted the Foreign Office to enlist its help in fighting against the ban. This entry was posted in State Oppression, UK by Bob Pitt. Bookmark the permalink.